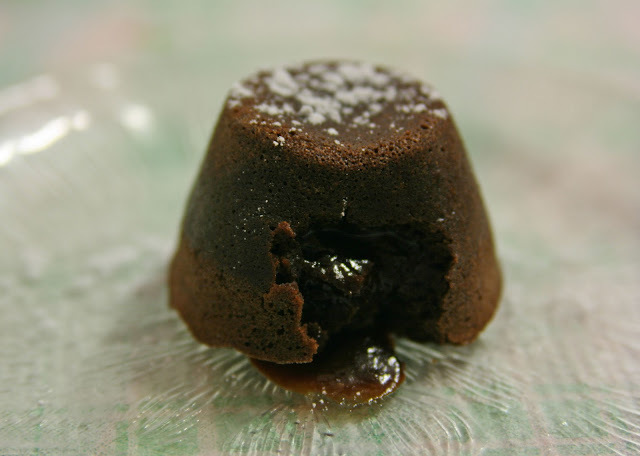 The chocolate coulant (also called mi-cuit in french or lava cake in english)﻿ is a thick small cake with a heart that oozes hot chocolate. As a chocaholic this dessert is, by far, one of my all time favorite. Plus it's a quick and pretty easy recipe so you will get a fabulous, elegant and delicious individual cake for any special occasion...or simply to treat yourself when you're craving for something sweet with an intense chocolate flavour. Tip: be careful with the baking time and try not to overcook it cause you'll most probably get a solid dry brownie. Melt the dark chocolate: chop it into small pieces and place it in a stainless-steel bowl, over a saucepan of very hot (not boiling!) water. Whisk the eggs and the yolk together with the sugar and then add in the melted chocolate and the flour. Beat well until all ingredients are blended and the texture is creamy. Grease the individual pans (e.g. 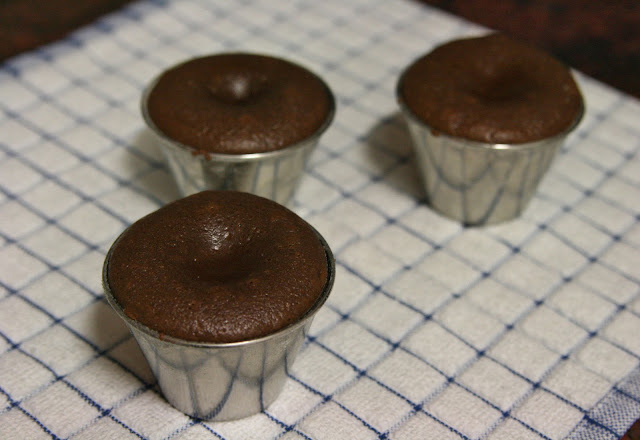 small ramequins, but I prefer the stainless-steel ones) with butter and a pinch of flour, pour in the chocolate mixture. Let the cakes cool in the pans for about 3 minutes before removing from the mould. Serve in dessert plates and sift confectioner's sugar over the top to decorate. You can also add some chocolate fudge or an orange sauce to accompany the coulant. Orange sauce: squeeze 2 oranges and 1 lemon and mix the juice with 100g of powdered sugar. Let the mixture boil till it reduces half its volume. Oh, I have to try that, looks delicious! PS you have a lovely blog! Thanks a lot Marguerite! I'm really happy to have you as my official first follower! (the other one is my sister, hehe). You should definitely try it, it's quite easy to make. PS: your blog and your pics are so cute! Humm ! 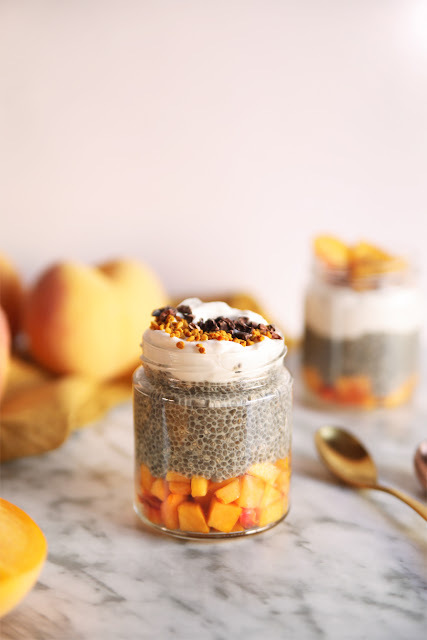 Delicious blog !